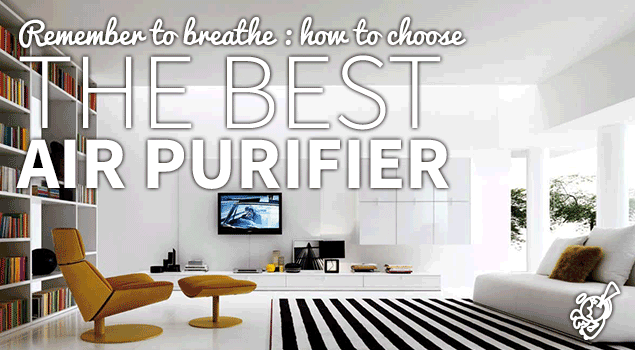 How to choose an air purifier? • The Air Geeks, reviews of air conditioners, dehumidifiers and air purifiers. OK, now you can breathe, and inhale deeply… you found us! Considering we breathe in and out about 15,000 times a day, it is essential, for our health, to breathe clean air. While the air is invisible, it is not always pure and clean. When we think about pollution, many people think about outside air. In fact, indoor air is more contaminated than outdoor air. This can be explained by the confinement of the parts of our home, the absence of daily ventilation and the presence of animals, cigarette smoke or the inevitable entry of exhaust gases into our homes. Thus, through the use of an air purifier, it is possible to enjoy clean air at all times, whatever the type of property and regardless of season or climate. An air purifier, or air filter, eliminates both domestic and industrial pollution by filtering the air and removing those particles responsible for contamination and odours. An air purifier cleanses the air of fine suspended particles, pollen and other allergens and odours, and restore fresh and healthy air. While they have been used in both industrial and public infrastructures (including hospitals, airports, businesses) for many years, air purifiers are only just strating to become popular for domestic use. Every individual can now breathe cleaner and healthier air every day by having an air purifier at home. The home appliance version is portable, and generally compact. It is powered by electricity. Easy to install and to service, an air purifier can be used in any room of the home without exception. Its yield depends on the model and the suction capacity of the machine, but overall all air purifiers perform the same function. It works through various filtration mechanisms, that will be detailed later in this buying guide. What’s the point of an air purifier? How to service an air purifier? There are many air purifiers models, from simpler, generally cheap devices to the most advanced ones, reserved for semi-professional environments. So, to be sure to make the right choice among the myriad of different models available on the market, we detail in this buying guide all points to be considered when investing in an air purifier. A home air purifier filters the air using various methods, from simple mechanical to sophisticated using complex physicochemical processes. 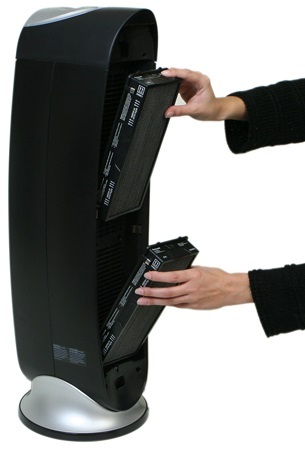 Air filter purifiers (or air filters) are those generally found in homes. They consist of several superposed filters that capture particles of different sizes. The first foam filter will capture particles visible to the naked eye, such as pollen, dust and hairs. The activated carbon filter will primarily capture the VOCs and odours. 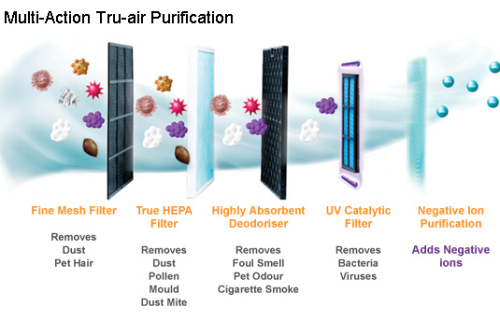 The HEPA filter, the “end” traps particles down to 0.3 microns. With these overlapping filters, the air is stripped of more than 99% of the particles in suspension – you can consider you breathe clean air as a result of the purification! Ionizer purifiers (or air ionizers) are slightly more sophisticated devices.> To understand how they work, you have to know that suspended particles are neutral or positively charged. The purifier generates negative ions that amalgamate the particles, forming agglomerates. These agglomerates are too heavy to stay in the air : they fall to the ground or are retained by the collector. And thus the air is cleaned. The right way to service an air purifier depends on the selected filter type, the main difference being that the regular filter needs to be changed and, therefore, creates the expense of regularly buying replacements. For filters purifiers, there is no other special maintenance except to regular change the filters. The frequency of filter replacement depends on the manufacturer, the frequency of use and the environment in which it operates.It is also important to be aware that the activated carbon filters must be changed more regularly than HEPA filters. This type of filter, also called a carbon filter is the same as a hood without external discharge. Typically, the charcoal filter is changed every 6 months to a year, whereas the HEPA filter only needs changing every one to two years. Some air purifiers also have an indicator light that glows when it is necessary to change the filters. This feature greatly simplifies maintenance by providing a visual reminder. Regarding ionizing purifiers, they generally hold water, so carefully rinsing the collector time to time (at least once a month in normal operation) is necessary. It is important to read the manufacturer’s recommendations for maintenance of each unit as this ensure the device will operate at an optimum level and avoid premature wear. What should I consider before purchasing? 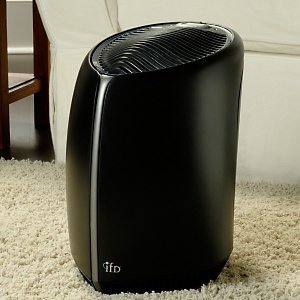 In our opinion, certain criteria have to be more carefully considered when investing in an air purifier for the home. We outline them here to help you make the best decision appropriate to your individual needs and circumstances. Sturdiness and reliability ensuring a solid investment over the long term. Noise and energy consumption are two essential criteria for quiet and peaceful use. Filtration system to best meet your air freshener requirements. Suction capacity to ensure rapid processing for clean and healthy air. Maintenance and consumables are a crucial point to ensure the optimal functioning of your air purifier. This is the number one criterion when investing in an expensive machine. On this point, no compromise. We will only be comparing reliable and solid models, while staying objective and independent, so that the purchase is not money down the drain. 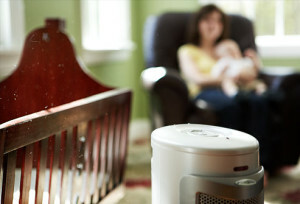 Air purifiying, the Honeywell way! We select the air purifiers that have proven their strength with use, based on feedback from users which constitutes a real guarantee for us, because after all who better talks about a product than its user? Unfortunately zero risk does not exist against breakdown, but we always try to compare recognized branded products, and if possible offering a warranty. Another two points on which the manufacturers do not really want to communicate! The sound level depends on the airflow of the unit. The higher the speed, the higher the noise level. To avoid it being too loud, and being able to manage yourself, you should opt for an adjustable air flow purifier. Generally the noise level of an air purifier is between 5 and 60 dB, so it’s not really disturbing for most users. The energy consumption of an air purifier is not really mentioned by the manufacturers, but is generally quite low, and should not increase your electricity bill unduly with normal use. The more energy efficient, the better, as you guessed. Filter purifiers: the air purification is carried out using filters, generally superposed. It is a technique of mechanical filtration, preferred for home use.The principle is simple: the particles are trapped by size when air flows through successive filters constituting the purifier. A pre-filter, inert foam that captures large particles (animal hair, hair, insects). An activated carbon filter, the same as hoods with no external evacuation, which will destroy odors and captures volatile organic compounds (VOCs). An HEPA filter for High-Efficiency Particulate Air, which ensures the elimination of 99, 97% of molecules having a size greater than 0.3 microns. This is currently the most effective filter that is also widely used in industrial and hospital settings. The combination of these three filters ensures deep cleaning of the air in your home. The major drawback of this type of filtration remains the regular and mandatory filter changes, including the activated carbon filter to ensure proper operation of the unit. Ionizers purifiers : they generate negative ions that amalgamate the suspended particles, which are neutral or positively charged. Negative ions are thereby attracted to the particles or vice versa. This filtration mode uses electrostatic attraction as its operating principle. The amalgamated particles are too heavy to stay in the air, fall to the ground, to release the air from pollution. The purifiers photocatalyst : they are constituted by a catalyst, usually titanium dioxide, and require UV radiation. By a photocatalytic process polluting particles are oxidized by the titanium dioxide and transformed into water vapor, carbon dioxide and nitrogen. The plasma air purifiers: they act in ambient air generating oxidative molecule propelled into the room to clean the air, through a magnetic field that captures particles. This type of purifier is much less used than the others because it loads the air ozone and free radicals that are harmful to our health. N.B. : The most advanced air purifiers can combine several types of filtration in a single unit. The suction capacity of air purifiers is unfortunately not mentioned by most manufacturers, although it is a key point in their operation. It is the suction capacity that will determine the efficiency of the apparatus, depending on the surface, this information is often not available. It nevertheless considers that the cleaners do their job, and their absorption capacity is suitable for the vast majority of homes. It can be concluded that an absorption capacity of 10 000 cube ft. / hour can purify the air in a room of 800 square feet in an hour. The maintenance of an air purifier is relatively easy; it depends on the filtration system of the device. The mechanical purifiers, we mentioned are a little higher in maintenance, requiring a regular change of filters, the regularity depending on the brand. The active charcoal filters should be changed more frequently than HEPA filters, which ensure their sanitation functions last longer. When investing in an air purifier filter, it is important to ensure that the supplies are readily available, and inexpensive. Some models are equipped for this purpose with an automatic cleaning indicator or filter replacement, a very important feature to ensure the benefits of the air purifier in all circumstances. Go to the accessories section to find the filters specific to your air purifier. Ionizers purifiers usually have washable filters, so you do not need to buy regular replacements. You now have all the facts to help you choose the air purifier that best meets your needs. Above all, such a device should be sturdy and reliable, to avoid unpleasant surprises. The filtration system must be suitable to your specific sanitation needs, and the unit must also be energy efficient, and consumables readily available. Of course, it must also be as quiet as possible, so it blends into the background whilst providing cleaner air for your ongoing health. Thank you for reading, and good luck with our specialist at The Air Geeks! → See what the products we picked as the best ones this month on our Best air purifier page!